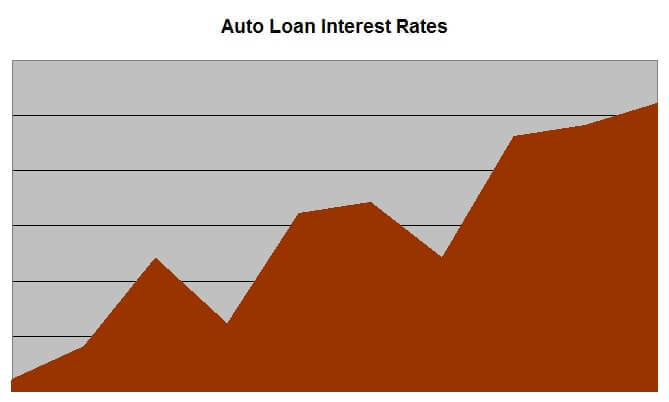 Auto interest rates have been on the rise for a while now. Since November 2016, the average rate is up about a tenth of a percent. That doesn't sound like much but we at CarBuyingTips.com anticipate that they will rise further. If the economy continues to recover, as everybody hopes that it does, it is guaranteed that all interest rates will rise. This will cause the rates to rise on auto loans. The increases we've seen so far don't make that big of a difference to your bottom line. The tenth of a percent increase that we talked about would cost you about $68 on a $25,000 loan for 60 months. If $1 a month has a big effect on your budget then you are buying a car that is too expensive. These small increases will probably continue and, before you know it, the rates will be up 1%. A 1% increase would end up costing $685, or around $12 a month. Still not life changing money but it is $12 that you can better spend on something other than loan interest. The reason that we think you should pay close attention to auto loan interest rates right now is due to the variability that can occur in an environment of increasing rates. Some lenders will raise their rates faster than others. The money that they are lending you comes from different sources so it might cost one lender less than another to provide you the loan. Some lenders might try to delay their increase to get business from their competitors. They may decide to profit less on each loan in an attempt to attract more customers and write more loans. I used a very key word in the last sentence, "customer." When you get a loan, you are a customer of the bank, credit union or whoever loans you the money. You are buying a product and the cost of the product is the interest rate and other fees. They aren't doing you a favor by "putting you in this beautiful car." If they were doing you a favor, they wouldn't charge any interest and just make you pay back the amount you borrowed. Since you are the customer, you should shop for your loan just like you shop for any other product you buy. When you buy a box of cereal, you want to buy it from the store that has the lowest price. It is the same thing for a loan. 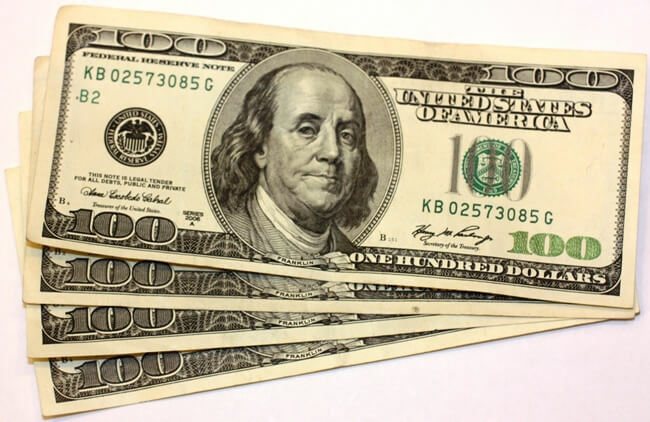 You should shop around for the loan with the lowest interest rate. Most people think that you can only get a car loan from a car dealer. The dealers have trained us to think that way because they make a lot of money overcharging on interest rates. When they provide the loan, it also allows them to play the cash flow shell game that we warn people about in our new car buying guide. They manipulate the loan term and interest rate to make you think you are getting a good deal when they are really ripping you off. Even before the internet was a mainstream tool, you could get an auto loan from your local bank or credit union and save a lot of money vs. the loans that the dealerships stuck you with. Now, using the power of the internet, it is extremely easy to save yourself a good chunk of change. Even if you only save $10 or $20 a month, wouldn't you rather have that money in your pocket than going to worthless interest payments? There are two online lenders that we recommend. If you have very good credit, you can really get a good rate from LightStream. They are a division of SunTrust Bank and they have a simple, streamlined process. There is no obligation to take the loan but you can apply and find out what interest rate you qualify for. If you have less than perfect credit, visit Auto Credit Express. They will treat you with respect and find the best financing option for your situation. In addition to these sites, check with your bank or credit union and find out what rates they are offering. Once you've done your homework and know what rates you can get, you can use these rates to negotiate with the dealership for a loan. They might beat the interest rate you've been offered. If they do, that is great and you should take advantage and get the loan from them. Just be careful and make sure they aren't lowering the interest rate and ripping you off on another part of the deal. You must pay attention to every part of the deal. Make sure to read our guide to buying a new car and become educated on the entire negotiating process. Our finance chapter goes into great detail about auto financing and how to get the best rates. Our strategy is all about competition. You want to have as much competition as possible for your loan and as much competition as possible trying to sell you the vehicle. Check out TrueCar to see what other people in your area are paying for the vehicle that you are looking at. The guaranteed price certificate that they give you can be used as a baseline for your negotiating. 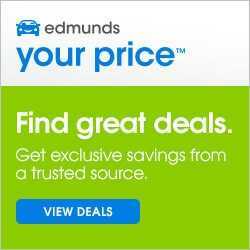 Other trustworthy sites like CarClearanceDeals and Edmunds can be used to get more dealers involved and increase the level of competition.